Have you ever wanted to fly? These clips take you to places you can not even imagine flying through. 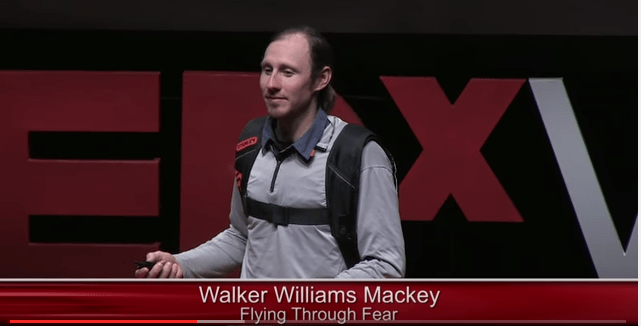 Walker takes flight, faces fear and overcomes limiting beliefs. Perception shifts from limiting fears to kinetically expressing the potential of being super human. He wants to know, “Are you holding back from achieving your maximum potential, inhibiting you from taking flight?” Watch for the thrill, leave understanding the precarious role balance plays in staying alive. Walker Mackey quests vertical exploration – lots of it! Thru the practice of Paralpinism (flying from mountains with a parachute) he finds deep understanding in this world of high exposure. Walker inspires, by living a life on the road intimately connected to risk management and dedicated to facing fear. Dangerous, deeply dangerous, Paralpinism is deadly. Walker balances living and surviving with thriving.